Depending on your location or where you’re about to travel, car rental process may differ. However, this doesn’t mean that you can’t do anything to have a stress-free car rental procedure. Some people find it really difficult and stressful to rent a vehicle, especially when traveling to another country. I say, it’s easy – you just have to know how to do it properly. 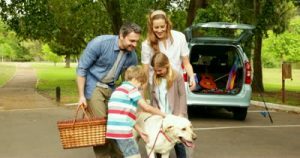 If you’re planning on traveling or just about to rent a vehicle regardless of your reason, here are some tips to help you achieve a stress-free car rental service. This is the longest part of the process that you’d have to go through. If you’re traveling in a foreign country, the process may take longer as you’re not familiar with the places and companies offering car rental services. Take your time to read reviews. Search the internet for feedback on different companies and find reliable ones. Gather your list and save them for later so you can make comparisons. It is important that you consider your budget and other essential factors that you’d need when it comes to car rental services. If you’ve found a couple of these websites or car rental services, take advantage of their ‘Contact Us’ now section. Give them a call, send them an email or maybe chat with them if they’re offering live chat support. Ask as many questions as you need to, for you to come up with the right decision. Don’t think that you’re asking too much. There’s no such thing as stupid questions. You want to be sure that you’re going with the right company so just fire those questions away. You have every right to ask as you’re a potential customer who wants only the best service and value for their money. Are you traveling alone? How many people are going to occupy the vehicle? Check the available of automobiles that the car rental service may offer. If you like, you may also do a couple of internet searches for that particular model to see the possible problems and pros that you may encounter while driving the vehicle. Doing this will help you determine which automobile fits your needs the most. Before signing anything, read the car rental contract so you won’t get tricked, in case there are other conditions that you may not agree. Don’t sign on anything unless you agree and understand everything that’s stated in the contract. If you don’t agree on something, better find a company that has terms and conditions that you’re okay with. Car rentals do not have to be stressful as they may sound. It’s easy – you just have to learn how to do it right.